i've been working in Center City for almost 4 years now, and my coworker and I have been saying that there isnt much food in the city that's different and new from what we usually get. That said, we took the time to peruse (my new fave word) GrubHub, this was just something we clicked on. She got the lunch chimichanga with chicken, i got the street style mini tacos. SO SO SO GOOD. everything was very fresh, down to the refried beans, the salsa, EVERYTHING. the tomatilla salsa balances out the tacos perfectly and the avocado makes them that much better! defffff a re-order ! Wow!!! I ordered the empanadas and the chicken fajitas. I have never had Mexican takeout that was so delicious and satisfying. I don't usually care for guacamole, but theirs is absolutely delectable. Everything was over the top excellent. I will definitely be a loyal customer as long as I can get food this delicious. Thanks El Zarape, you are the best!!!! I used to order from El Zarape all the time then they moved. When they moved the food wasn't as good. This is the first time in a while that I have ordered. It was great just like it used to be. I am happy to say my southwest chicken tacos was as tasty as they were the first time I ordered. I am glad they are back. I will be ordering again and again. I thoroughly enjoyed everything ordered. It was meant to be shared and sampled and was a rousing success. Rich authentic flavours, fresh ingredients, GREAT portions. The burrito? To die for. The made-to-order guacamole was beyond belief. I will definitely be ordering from here again! Food was about 15 minutes late, but it was during a snowstorm and my lazy self cant really complain about that. Plus the food was very delicious. So far the best Hispanic food Ive had in South Philly. I ordered twice in one week. And will order again! Really delicious food in generous portions. We tried El Zerape because of a first order discount but it won't be our last The guacamole and queso were so yummy! 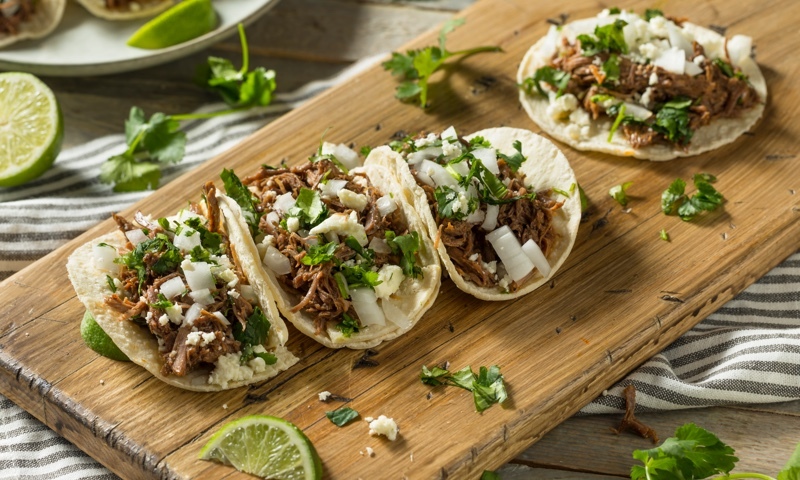 Whether you're craving a quick bite or looking to treat yourself to a delicious meal, you can now order your El Zarape favorites for takeout or delivery.